need a voice actor? I have a heavy voice and have some experience in theater, but I am as Dutch as can be. However, just like Grunty's accent isn't the correct one, Hans also doesn't have the typical Dutch/English accent. However, I have the same problem as Xardes. My English accent is not truly Dutch, but I believe you already know this Logisteric. Did Sirtech get any accent apart from american/english/spanish ones correct (or even close to)? The Greenlanders I've spoken to all had a lisp on their s'es, from slight to very pronounced. Howard sounds like a Scot to me. The way he says, "Have yourself a look", sounds like a Scot on too many meds. It is possible that he got medical training in another country of Imperialistic Britain. Just the way he says look. It is very distinct. Who says that when Old Howard's parents came to the melting pot that he did not retain some of his families dialect? he speaks like a pakistani or indian that had an education in a british public school (eton and such) or university (oxford, cambridge and such) - he's a pharmacist - did you ever listen to recording of mohandas gandhi? (the real one not ben kingsley) - even in indian universities they try to get a british accent - it's that typical sound of a well educated guy from british india (that includes what is pakistan and bangladesh nowadays). Pervez Musharraf was born on August 11, 1943 in Nehar Wali Haveli meaning "House Next to the Canal", situated in Kacha Saad Ullah Mohallah, Daryaganj in Delhi, British India, and stems from a family of politicians. After Musharraf's grandfather, Qazi Mohtashimuddin, retired as the Deputy Collector of Revenue based in Delhi, he acquired Neharwali Haveli in the old walled city of Delhi where Musharraf was born. Rap? Heavy Metal? Where is that coming from? The ones that spoke the native tongue died long ago. Howard sounds like he has a slight Dutch or Scandinavian twang to the anglophone ear but Amerikaan mostly. Parents Amish Maybe? What rides over and above the "where is his damn accent from" is the fact that he sounds as queer as Quentin Crisp and nearly as creepy. 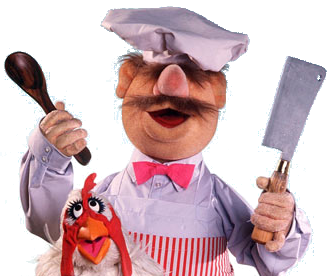 I always thought he was Swedish, again a totally stereo-typical over done accent, just think of the Chef out of Muppets, and you're getting close. It is interesting to hear what others think of their native accents being lampooned in game, I know a few Aussies balked at Trev and Scully. I did recall contacting Shaun Lyng when playing JA2 early on having to commend him on some of the English voices though, most are once again cliched but certainly was a surprise to hear a punk with martial arts skills and a Brummy accent (Numb.) Shaun seemed to be a little amused that he'd used 'Cheerio' as a greeting rather than a farewell, after I pointed it out. Is Howard one of the merchants in Balime? If we're talking about the same guy - yes, he's a spot-on spoof of a Swedish accent. It's typically portrayed that way in pop culture and it's hilarous! If I (for whatever reason) contribute with voice work to a mod I'll try to do it like this even though it's quite a far cry from how we really talk.